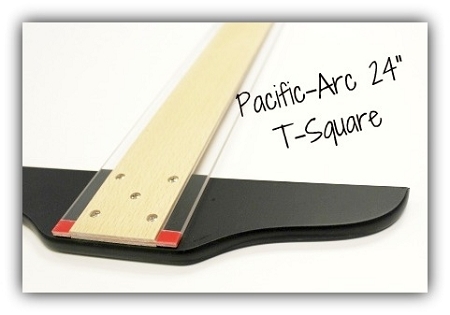 This Pacific-Arc T-Square is made of a maple wood that makes a sturdy blade with acrylic edges that are elevated to prevent smudging and surface scratches. Has a five screw head in black finish. Great for the drafting student.